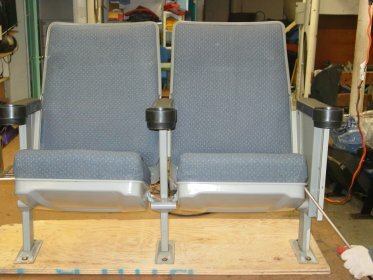 Hi, I have 700 Irwin Citation Theatre Seats for sale. They are in great condition, gently used and all have cupholders. Plastic and metal parts are light grey, fabric is a light blue grey color. All sizes and pitches. You may also contact me at 917-880-9664. Are these seats still availablem ? Any still available and price? Sorry – these seats have been SOLD. I will be posting other seats for sale in the month of October.